“Two new directions began to develop as I was winding down a portrait series in 2010. One involved daily drawing and painting on used paper coffee cups. Stalled in the studio, I initially experienced this habit as procrastination–until I began embracing it as a highly generative art form. 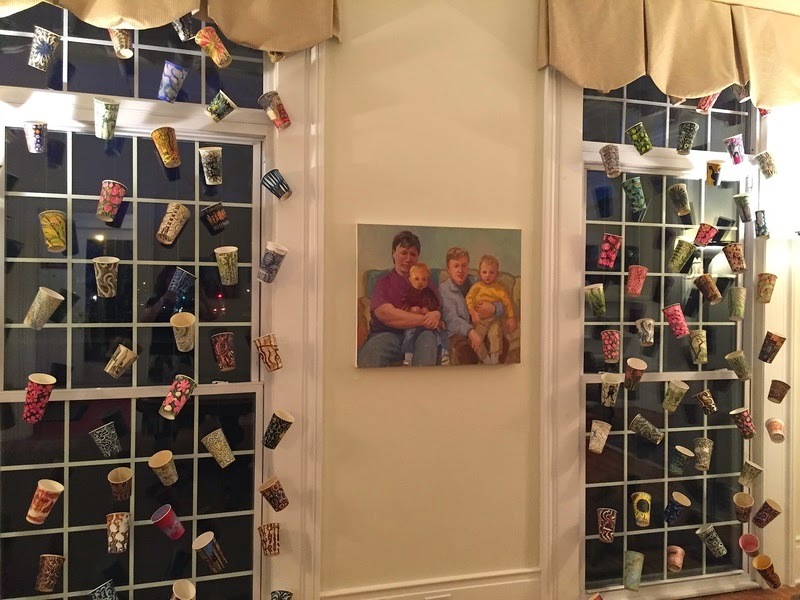 Having amassed many hundreds of these upcycled cup artworks, I hang them as large-scale, permutable installations, shown in public art spaces and shop windows as well as in traditional galleries. An important component of the installations is often my own presence– I make the cup artworks in a portable studio, thus combining drawing and performance in ways that allow dialogue with the public and create a social and conversational art-making environment that is a counter-balance to the extended time I spend alone in the studio. 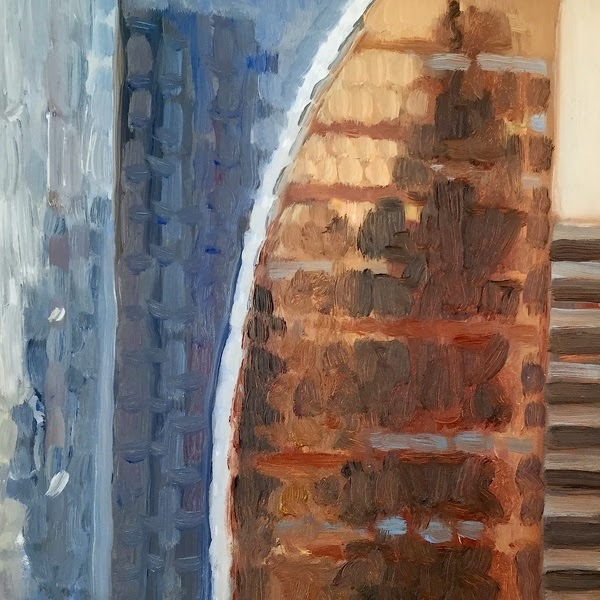 When I did finally sit down to paint, it was an act of pure observation, engaging with the urban panorama seen from my studio window on the 13th floor of a building in midtown Manhattan. 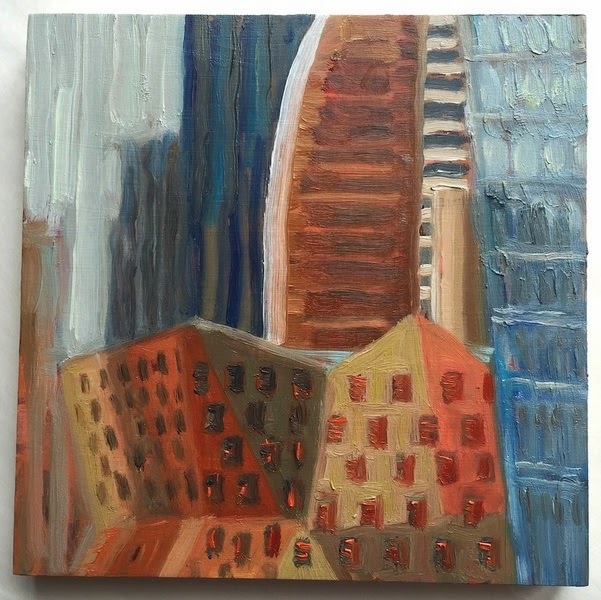 Gwyneth Leech, Westin: 10am, 2013, oil on wood panel, 8 x 8 inches. 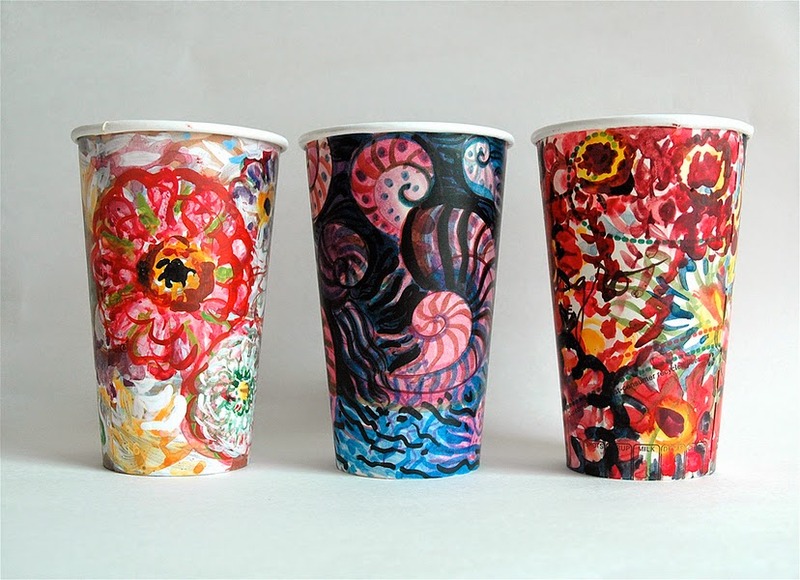 Gwyneth Leech, Floral Cup Trio, 2013. Installation view, Gwyneth Leech at ARTWorks Gallery on the Green. “Gwyneth Leech: Themes and Variations – Paintings and Works on Paper 2004-2015,” ARTWorks Gallery on the Green, Norwalk, CT. Through May 26, 2015.